The theme of this issue of Companies in transition is multiplying your equity value. 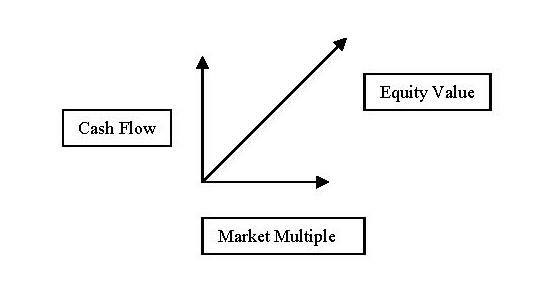 After “how do I monetize my equity,” the second question I often hear from owner/CEOs is “how do I increase the value of my equity?” Sometimes, a major shift in strategy is required. On the other hand, refreshing your current value creation strategies may yield greater results than attempting major changes in your overall business strategy. A business is like a garden. The fall season is an excellent time for preparing to multiply your equity value. It’s the time when many owner/CEOs undertake annual planning exercises. They evaluate which elements of the current year’s operating plan were or were not achieved and why, and they assess the business, economic and environmental factors on which they will develop their operating plans for the coming year. Based on some of the techniques used by successful gardeners, here are 7 strategies for multiplying your equity value. Owner/CEOs of companies anticipating a liquidity event frequently ask “how can I improve (‘dress up’) our profitability?” Rarely do they focus on revenue growth as the first priority. On the other side, most investors seek to acquire or invest in companies whose earnings are likely to grow in the future, and revenue growth is often the best predictor of future earnings growth. Based on a 10-year study of 2,000 firms conducted at Bain & Company, Chris Zook and James Allen assert that “. . . growth is the source of value creation to shareholders. It is the gravitational pull that attracts and retains the best people. No business that has failed to grow has ever been able to maintain excellence over time. . . . The primary reason that companies die or tumble into extended periods of value destruction is because those companies were overtaken by competitors.”  What’s an owner/CEO to do? Concentrate on a single core business – Understand and stick to your core strengths. Execute them crisply; hone them relentlessly. Expand into adjacencies  – An adjacency is a growth initiative that pushes out from the boundaries of the core business such as selling new products to existing customers or entering new customer segments with existing products. Swim for open waters  – Seek out untapped market spaces with opportunities for highly profitable growth through innovation and big-picture thinking. Zook and Allen, Profit From the Core : Growth Strategy in an Era of Turbulence, 2001. Zook and Allen, Beyond the Core: Expand Your Market Without Abandoning Your Roots, 2004. Kim and Mauborgne, Blue Ocean Strategy: How to Create Uncontested Market Space and Make Competition Irrelevant, 2005. An interview with Bjorn Lomborg in the Wall Street Journal (“Get Your Priorities Right”) set me to thinking anew about the constant challenges faced by owner/CEOs of companies in transition – so many things to do, so little time, so few resources. How do you prioritize when everything seems so important and so urgent, when everyone is clamoring at your door for attention, for resources, for a decision? Your people should come first – Without skilled and dedicated people, nothing much good happens in any organization. Pay attention to their care and feeding. Customers should be a close second – Without customers, a business cannot exist, let alone prosper. Do the things only you can do; delegate/ignore the rest – Management time and attention are usually an organization’s scarcest resources. Allocate them carefully. Delay making important decisions – You never have enough information. Strive for sufficient, appropriate information to make an intelligent decision. Then decide and move on. Be very careful about betting the farm – Successful risk takers do two things that separate them from the rest: first, they carefully evaluate the risks and second they have a clear plan for managing and mitigating those risks. Catastrophic failures often result from decisions made without fully understanding the risks involved. Crises trump everything – When crises occur, they simply must be dealt with. Better yet, be ready by developing some advance plans about how likely or reasonably possible crises should be addressed.